Birds have a story to tell about climate change and scientists are listening. Researchers and bird watchers have known for years that the changing climate has been tweaking the timing of bird migrations and breeding -- a study known as phenology. But the field work to document changes in the schedule of arrivals and departures has been laborious -- techniques like catching birds in nets and banding them one-by-one, or putting platoons of birders in the field to count them. Now, some scientists are doing their birding by ear. "Their song is beautiful to listen to, but they’re singing for a reason," explains Brett Furnas, a statistician-turned-ecologist with the California Dept. of Fish and Wildlife. "They’re singing to attract mates and establish territories, And this is important for them to breed and then maintain the population levels." "When they're singing the most, it's a sign of the peak of the breeding season," Furnas explains. 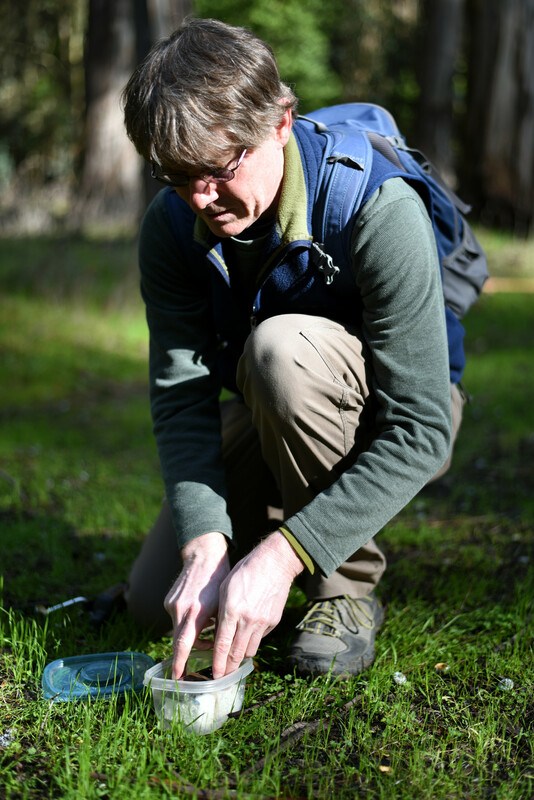 The team, led by Furnas from the state's Wildlife Investigations Laboratory and Michael McGrann of William Jessup University in Rocklin have been buying off-the-shelf digital recorders and placing them in selected Northern California forests. The tiny devices are deployed for days at a time in each location, recording the intensity of birdsong to gauge peak breeding times. Their latest findings were published earlier this year in a journal of the American Ornithological Society. "As the climate warms, there's gonna be pressure on the birds to advance the time of their breeding earlier in the season," says Furnas. Over several years of wilderness eavesdropping, Furnas' team has amassed 1,500 hours of recordings. Experts go through them all, listening to identify different species by their song -- but they also use their eyes, scrutinizing digital visualizations of sound called spectrograms. Sometimes it's easier to pick out individual species visually, from the spectrograms. "They’re all kind of partitioning the time, singing, not all on top of each other but in different frequency ranges at different times," Furnas explains. "It reminds me of an orchestra, but there’s no conductor. And the more birds, the fuller the orchestra, which reaches a crescendo at the peak of the mating season. 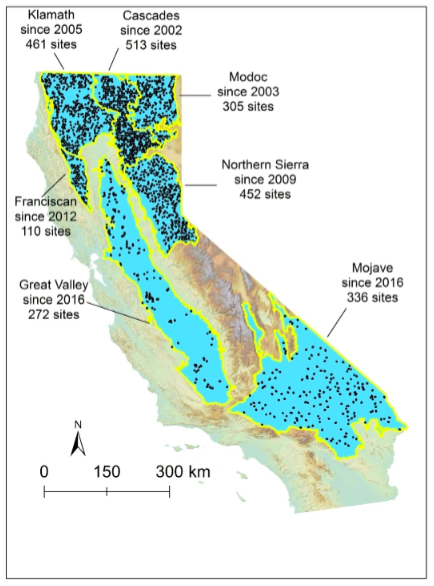 Over the years, Furnas’ team has made hundreds of these recordings in the forests of northern CA, including nearly 370 sites along the Pacific Crest Trail. 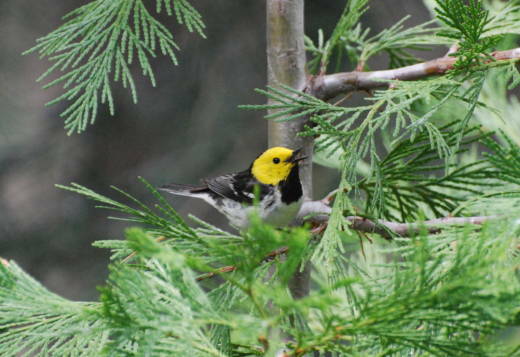 They've pinpointed peak breeding dates for at least eight species of migrating birds. Furnas says they're shifting. "Indeed, other studies have shown that across the northern hemisphere, the breeding is advancing on average four days per decade, which is quite alarming." What Furnas is most concerned about is “mismatch.” To migratory birds, timing is everything. Imagine you’re on a road trip, tired, and counting on a late meal at the motel diner up ahead. And when you get there, the motel is open but the diner is closed. That’s what migrating birds encounter if the timing of their arrival, feeding and breeding are out of sync with their surroundings. "And over time with climate change, we expect that to advance," adds Furnas. If the timing is too far off, it could threaten the populations of some species. The equipment for this audio data gathering is surprisingly simple. 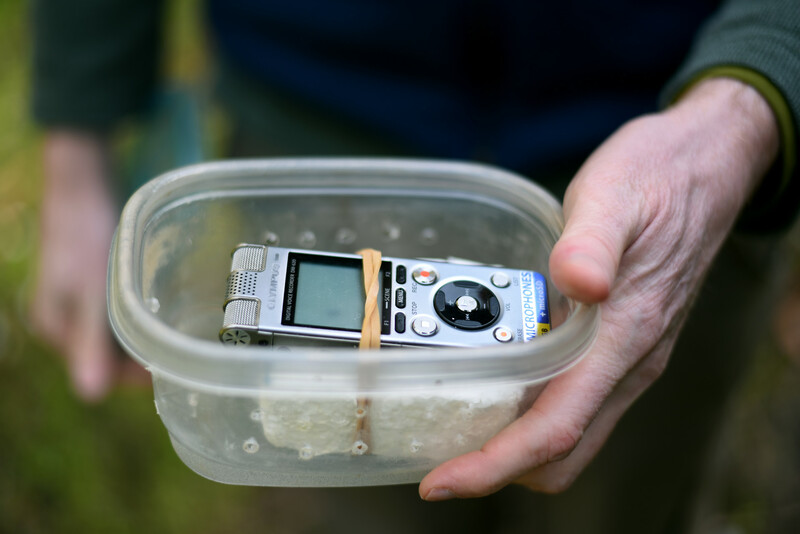 The team uses tiny digital recorders, about the size of a matchbox, strapped to a piece of foam, and placed inside a Ziplok plastic tub -- the kind used to refrigerate leftovers. You might expect that they'd hang them in trees (I did), but they leave them right on the ground at the various listening sites, which Furnas admits makes them a bit vulnerable. "Funny things happen to these," he recalls. "I’ve found these, recovered them, and bears have chewed them up and spit out all the batteries a few times. So, these things take a beating." "So do the researchers at times. Furnas says he's been chased by a wild horse, and stepped on a hornets' nest and nearly a rattlesnake, which is why these days he leaves most of the field work to assistants. Even so, Furnas says he's always inspired by his time in the field. "Even if you don’t know what all the birds are, you hear them and it affects you," Furnas reflects. "And so you don’t have to be a scientist to appreciate why nature, and the sounds of nature are really important for our quality of life."